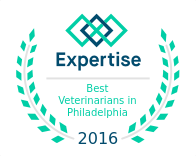 At VRC, we offer innovative techniques that are designed specifically for your pet’s rehabilitation needs, including recovery from surgery or trauma, weight management, conditioning for canine athletes, and pain management for senior animals. At VRC, we offer innovative techniques that are designed specifically for your pet’s rehabilitation needs, including recovery from surgery or trauma, weight management, conditioning for canine athletes, and pain management for senior animals. We offer a range of advanced veterinary rehabilitative therapies, including hydrotherapy, laser therapy, therapeutic exercise sessions in our canine gym or sandbox, E-Stim, acupuncture, Aquapuncture, electroacupuncture, canine massage, and therapeutic ultrasound. Our goal is to improve your pet’s strength, mobility and range of motion, relieve pain, and prevent injuries in an environment that makes your pet feel safe and comfortable. Please contact our Rehabilitation Team for more details and to find out how we can help your pet.